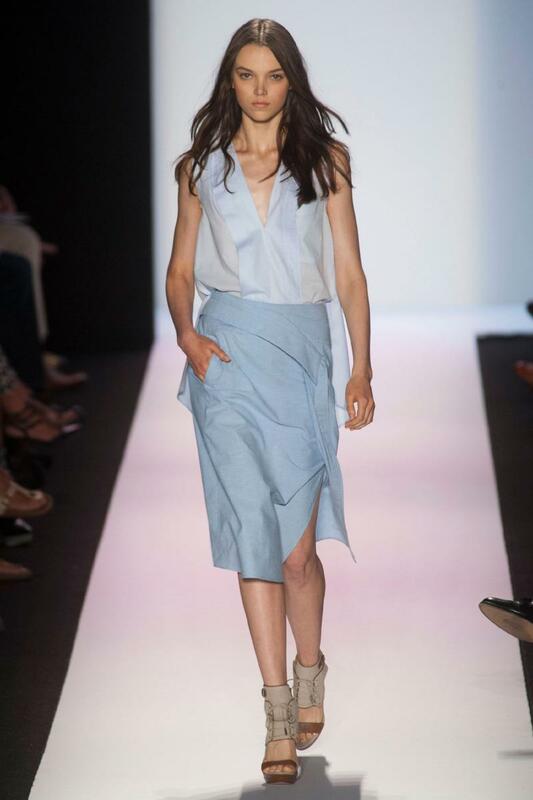 BCBGMAXAZRIA Spring 2014 provides a fresh take on the cotton shirt dress and tuxedo shirt. The neutral palette consists of chambray and blush, and accented with black and white. Notable looks include cropped tuxedo tops and bustiers paired with relaxed fit-trousers. 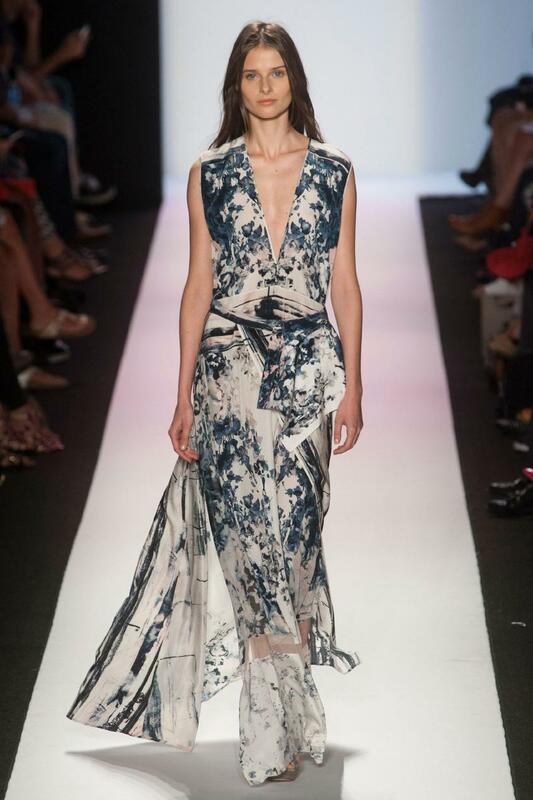 Silk, print-blocked, abstract watercolor pieces add an artistic touch, while lizard/leather clutches and leather lace-up open-toe booties add an urban edge to each look.